I love Rimmel London's lipsticks I've worn them for years, they have always been and always will be a staple in my collection. What I like about these is that they are so affordable yet don't compromise on quality. 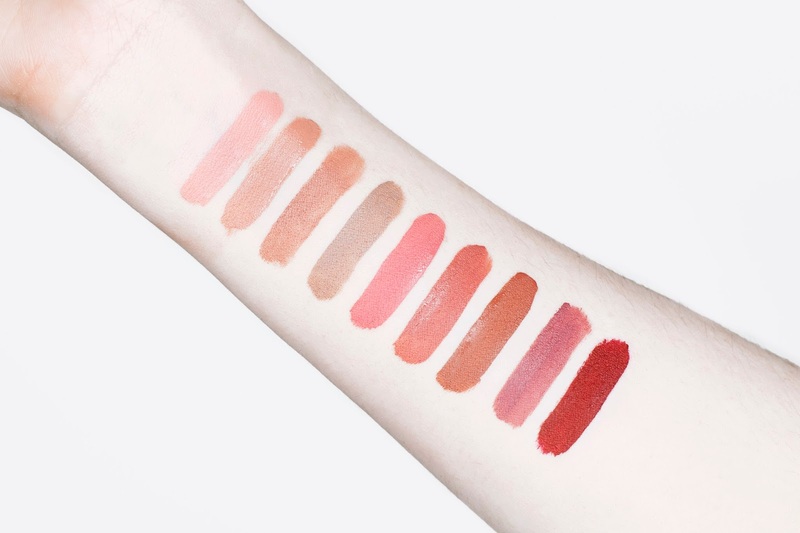 They are so pigmented and have a creamy consistency that leaves my lips well and truly moisturised. So when Rimmel brought out their range of matte lipsticks I definitely had to give them a go. I was initially worried that they would dry my lips out as I've found a lot of drug store matte formulas can be quite drying. However, I was pleasantly surprised as they have a lovely rich and creamy formula that glides effortlessly across my lips. Another thing I really like about these matte lipsticks is the shape of them, as it allows for a really precise application. 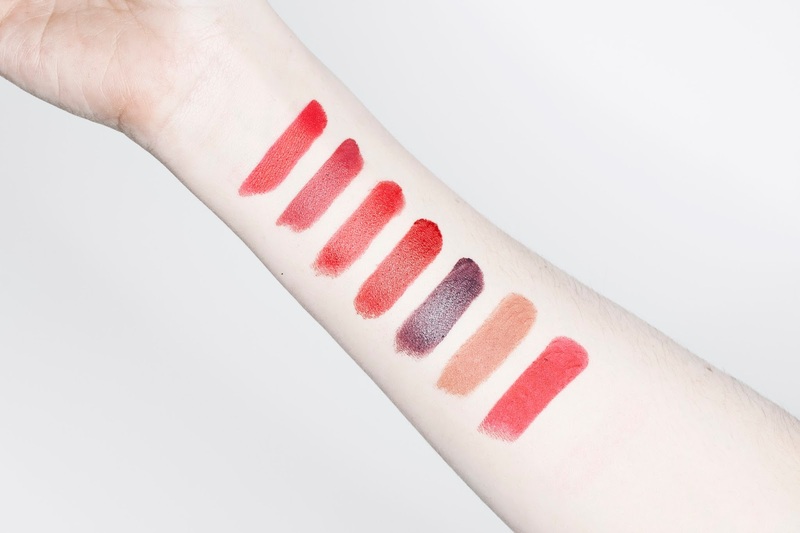 Check out the swatches below. Jeffree Star's lipsticks are just the best! Hands down my favourite formula when it comes to matte liquid lips. The staying power of these are insane! I can wear them all day without any transfer and without my lips drying up. I found that a lot of cheaper, drug store brands that do this type of lipstick just don't have the formula. They dry your lips out and crumble away after only a few hours, if that. It's definitely worth spending a bit more money and getting a quality item like this. The Jeffree Star Velour Liquid Lipsticks are so opaque yet really light weight, I don't even notice when I have it on. The doe foot applicator gives you a lot of precision and can cover your lips in a few swipes, they last for ages as you only need one layer to get full opaque coverage, definitely worth the money! I don't have many Kat Von D lipsticks despite using a lot of her other products. I got these minis in a set at christmas, it's a great way to try something out before buying a full product, more brands should do this! 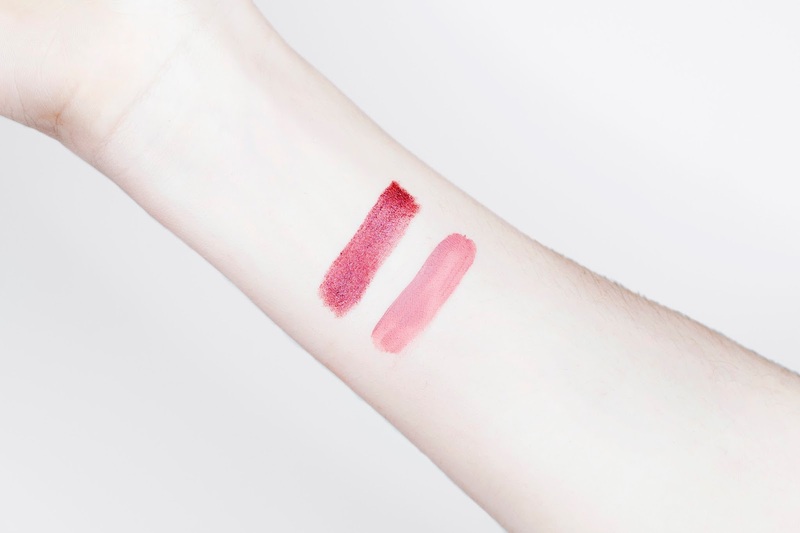 My favourite out of these two definitely has to be the Everlasting liquid lipstick, I love its buttery consistency and it's pretty soft colour. 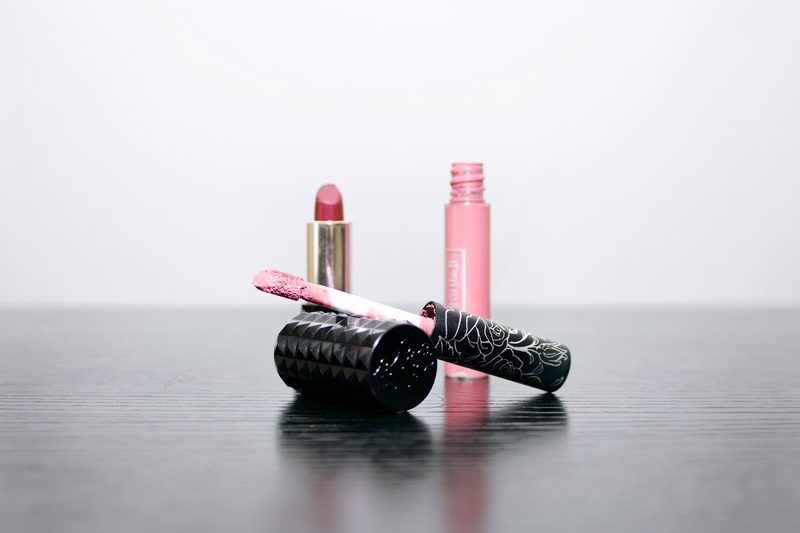 It applies really well with its doe foot applicator, however, I find that I need a few more layers than I would when using a Jeffree Star liquid lip. Also it doesn't seem to last as long, I have to reapply it a few times throughout the day but I still get a good few hours out of it. As for the Studded Kiss lipstick it smells so damn good and I love the packaging! This particular one has a metallic / shimmery finish, it really catches in the light. The formula feels so rich and buttery, it's also highly pigmented, I only need to use one layer of this. Kat Von D has recently relaunched her Studded Kiss lipsticks with a new formula so I will definitely be buying more to these to try out. 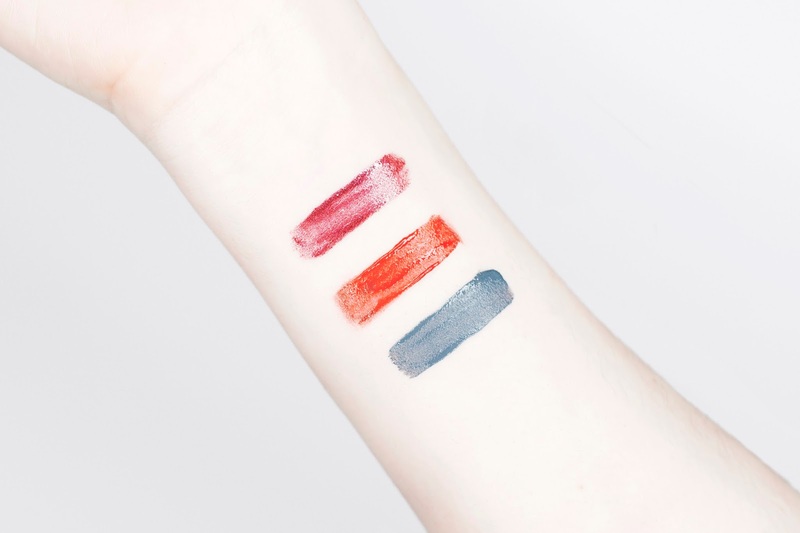 Makeup Revolution and Freedom Makeup are from the same parent company, TAM Beauty, but I find that they differ so much when it comes to the formula. These are great when your on a budget as they are so cheap! However I find the Freedom Makeup ones to be a lot more sheer and less creamy then the Makeup Revolution ones, but I can't really complain at a pound a go! 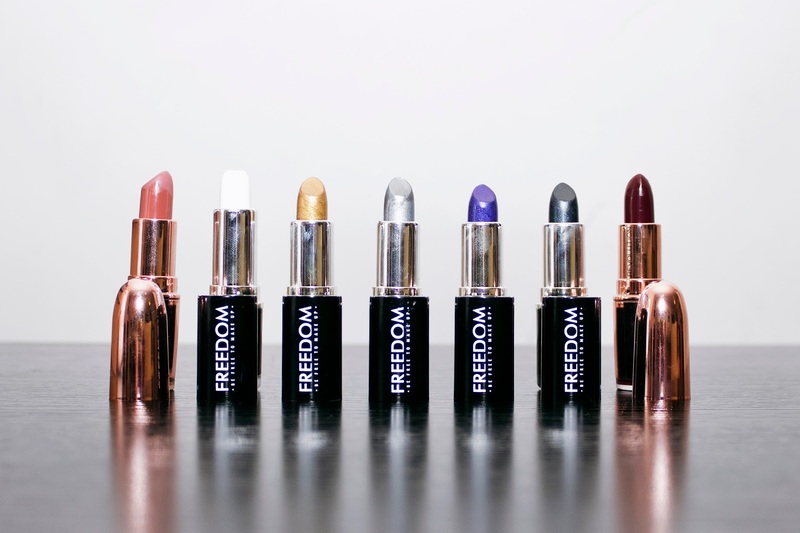 I personally like to use the Freedom ones as lip toppers or as a mixer. To be honest I initially brought them because of the names, they are all Star Wars themed and it was just too cool to pass up! As for the Makeup Revolution ones, I love how creamy and buttery they are, they smell really good too! 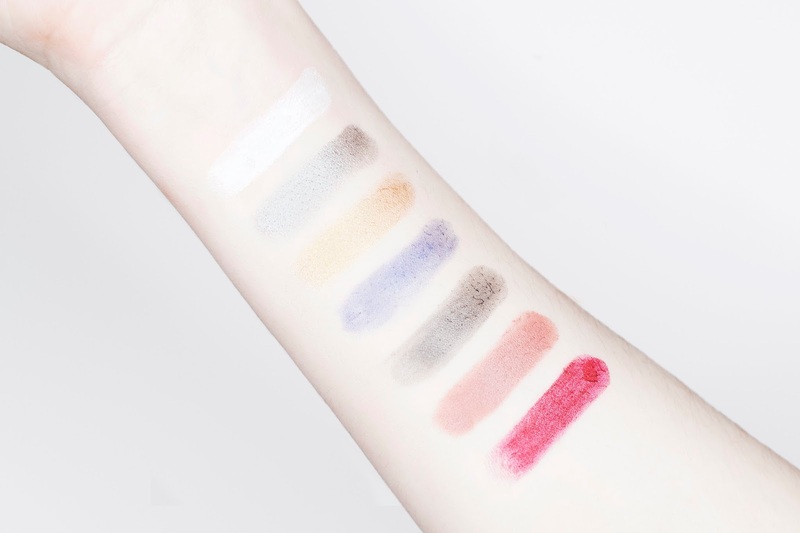 As for the pigments they are pretty bold and opaque which is unexpected for a budget brand. 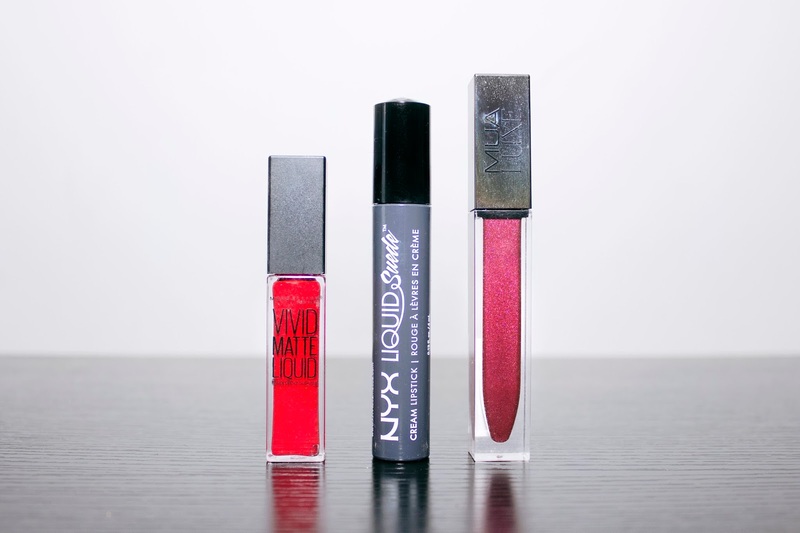 I only have one of each of these brands so I've bulked them together, we'll start with the Vivid Matte Liquid lipstick from Maybelline. This is such an odd matte lipstick, but in a good way, it doesn't dry down like most matte formulas. It has a really thick and creamy consistency that stays wet once applied but it really does last a long time. I just adore this colour it's so bold and pigmented, it's a true red and works really well with my skin tone. I really wanted a grey lipstick in my collection and struggled to find one for a while, that's until I came across NYX's Liquid Suede in Stone Fox. As far as drug store matte liquid lipsticks go this is one of the best i've tried, it doesn't crumble away after a few hours wear and is so pigmented. It also isn't too drying on the lips either. And last but not least I have a metallic liquid lipstick from another budget brand called MUA. I think I got this for about £3, I really love the colour again it's really pigmented for a budget brand. I don't wear this one too much as it has a very sticky texture much like a lipgloss and I hate getting it in my hair! However it is really good for photoshoots or when I don't have to wear it for a very long time. And that is my current Lipstick collection. As you can tell I love my reds and nudes, but you can never have too many, can you?! I hope you found this interesting and useful. 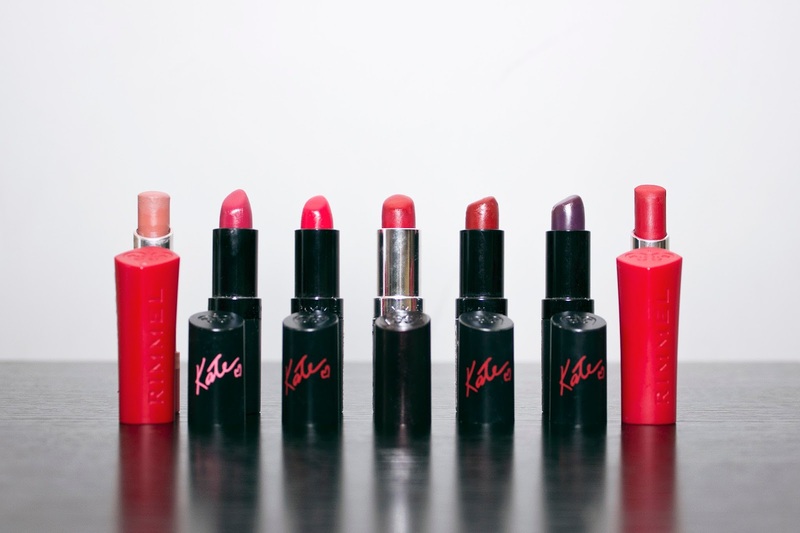 How big is your lipstick collection? Do you have any favourites you couldn't live without?